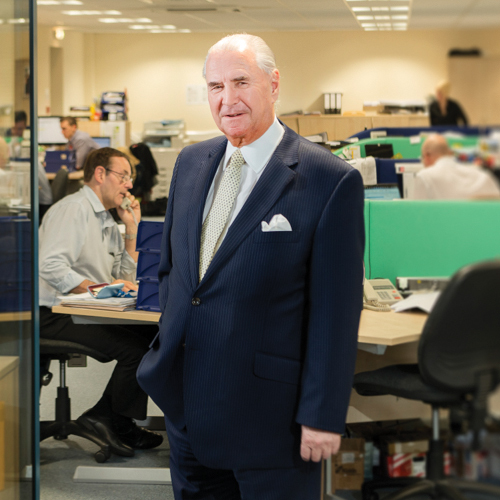 Cyril Roberts founded the business, his son Michael is now Chairman and his grandson Paul, Deputy Managing Director. We are still a family business and still have an office in Hereford. Of course, many things have changed. We now employ over 250 staff, have major corporations and household names as clients and, an impressive Head Office in Cheltenham….but our values remain the same. We believe in sustainable growth and long term relationships with our customers and our staff. We ‘grow our own’, leading the way in offering apprenticeships and education that isn’t just technically outstanding but genuinely customer focused. Our Managing Director, his deputy and the majority of our senior staff joined CF Roberts as apprentices. All remain accessible and accountable to our customers and understand the challenges they face. Proud of our heritage, we have always moved with the times and embraced contemporary technology, our environmental responsibilities and important safety legislation. We offer all our customers unrivalled experience, ‘end to end’ design to completion service and above all, the expertise, capacity and resources to cope with your requirements. Stanley Baldwin was Prime Minister and the average house cost £530 when, in 1935, electricians and electrical retailers CF Roberts of Hereford first opened their doors for business.